Open floor plan and spacious 4 bedroom home. Hardwood flooring and new carpeting. The eat in kitchen and formal dining room are a plus. Large family room in the lower level, on one acre of ground. 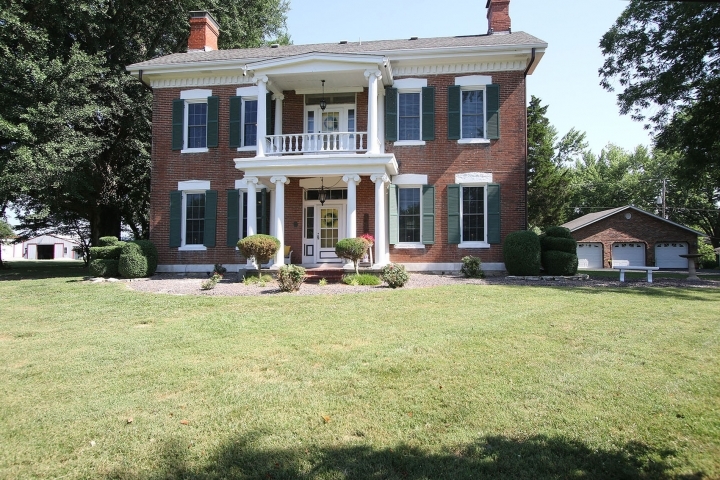 Historic home on 9+ acres in O'Fallon school district. St. Clair Co. Landmark home built in 1838 is full brick w/ 3 course brick interior walls and wood work that cannot be matched.Hardwood & slate flooring and ceiling height of 11'4". The 5 fireplaces w/ beautiful woodwork set off many rooms.The two staircases are a feature and the winding staircase is a masterpiece.Too many special features to count. Kitchen updates include quartz counter top. There is also a two bedroom mother-in-law home that features a large glassed/screened sun room that looks out to a park like setting.The summer kitchen house features a fireplace in the bar room, full kitchen and bath, plus rec room.Great for a pool house or to be used along w/ patio and BBQ pavilion for entertaining.The pond is stocked with crappie and bass. Deer & turkey hunting in the woods along w/ horse trails.Bring your golf clubs to pitch on the chipping green. 20 mi from St. Louis and 5 min from SAFB. 2 new hospitals within 4 miles.